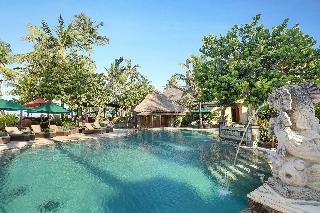 The hotel is located in the heart of Legian, only a 10-minute walk from Legian Beach. The hotel has 30 rooms located in two-stored buildings that surround and look out onto the swimming pool. Guests are welcomed in the spacious lobby with a 24-hour reception desk. Laundry and room services (both subject to fees) as well as doctor on call are available on request. 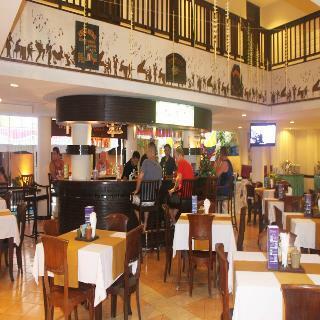 The hotel also features exchange, bar and dining. There is parking for those arriving by car. All rooms have modern amenities with private balconies including individually adjustable air conditioning, minibar and direct dial telephone. Also rooms have international TV channels, tea/coffee making facilities. Bathroom comes with bath and shower, and hot and cold water. 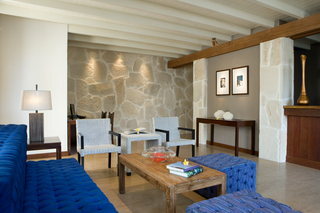 Guests can relax and enjoy in hotel's swimming pool and library. Guests may select breakfast from a buffet. There is a bar and a restaurant. 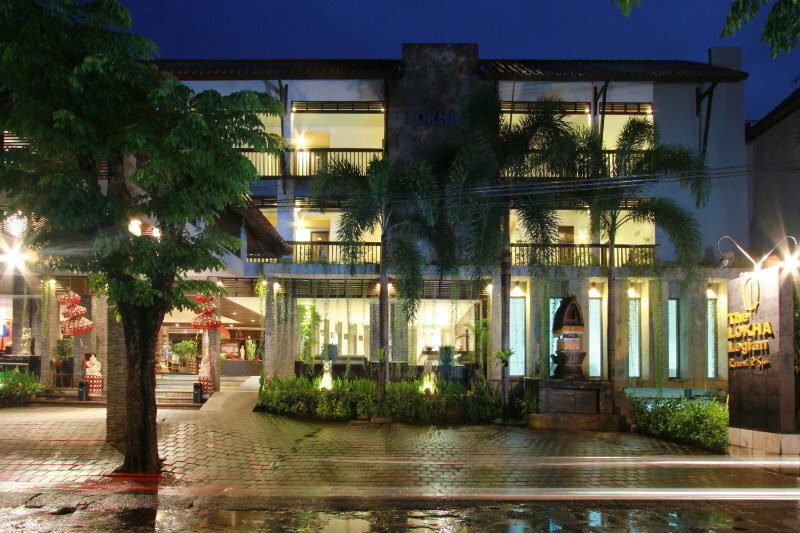 Losari Hotel & Villas is located in the heart of Legian near the shopping district and entertainment area. 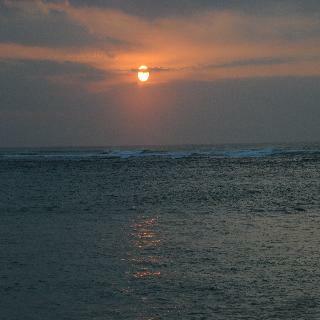 The Legian art market and Kuta beach are both in the immediate vicinity. The hotel offers guests an excellent selection of accommodation options from standard to suite rooms. Guests are welcomed at the 24-hour reception desk in modern-style lobby. The comprehensive facilities on offer include a doctor on call, a safe and lift access, as well as 24-hour room service, tour desk and car rental. Laundry and dry cleaning services, restaurant and a currency exchange facility are provided. Each room is fully - equipped and complete with individually adjustable air conditioning, en suite bathroom with bathtub/shower and double or king-size bed. There are 2 unique swimming pools with pool bar. Guests may select their breakfast from the buffet service. 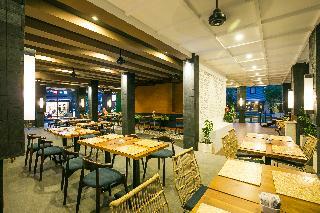 "The hotel is located only 300 metres away from the foremost Legian Beach, Bali and within walking distance to the Legian shopping and entertainment centres, restaurants, bars, banks, and more. It takes only 15 minutes to drive from the Ngurah Rai International Airport to the hotel.This small and friendly 29-room city hotel in Bali offers clean, spacious, and comfortable accommodation with the emphasis on guest satisfaction and care. The hotel provides a spa and massage centre, a uniquely designed 'U'-shaped fully-lit outdoor swimming pool incorporating a swim-up bar surrounds the hotel's restaurant. American breakfast is already included in the room rates, continental or Indonesian breakfast is available on request. Mediterranean and local dishes are also offered at the restaurant. 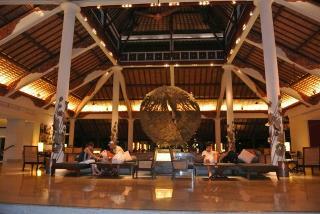 For a relaxing holiday in exotic surroundings, this hotel fulfils all the guest's needs." A modern and elegant 4-star hotel, Rama Residence Padma offers a new experience of stay with a total of 38 rooms with complete facilities and friendly Balinese hospitality from our staff. 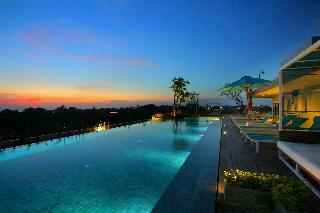 Enjoy the Legian Beach beautiful sunsets from our rooftop swimming pool. The spirit of Bali and Asian culture is palpable in our Asian Spice Restaurant & Bar, a partly open-air restaurant that serves various kinds of Asian Cuisine with a beautiful harmony of water drops on our fish pond complete with a small green garden which makes a wonderful experience for discerning guests. Rediscover the pleasures of life at Rama Residence Padma. 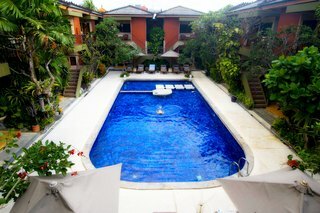 Exactly is a comfortable and low cost boutique bed & breakfast accommodationlocated right in the heart of Kuta. It is ideal for surfers backpackers orsimply budget conscious travellers looking for a decent place to bed downfor a night or two. 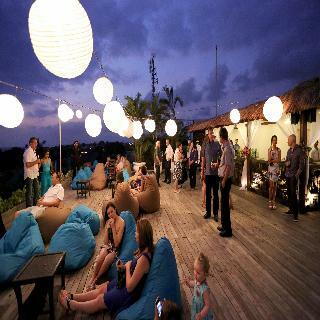 Located on Jalan Legian Bali's ultimate playground for those seekingtropical pleasures Tanaya is close to the beach as well as an extensivearray of shopping eating and nightlife options.Tanaya offers a choice of modern rooms with bathroom facilities and a fewextras that represent excellent value for money. It is fully secured placeto lay ones head for a restful nights sleep on a deluxe bed with a decentbreakfast also thrown in for the price. Set amidst sprawling tropical gardens on the South coast of Bali, Legian Beach offers a spectacular beach location close to the bustling tourist town of Kuta. There are a host of entertainment, shopping and dining venues in the vicinity ensuring that guests are close to the heart of the entertainment.Guests are invited to relax and unwind amidst the stunning natural setting or for the more energetic guest, there is a well-equipped gym and an array of recreation activities to be enjoyed onsite. The hotel's 3 restaurants serve delectable dishes with a choice of Asian or international cuisines to satisfy every taste.